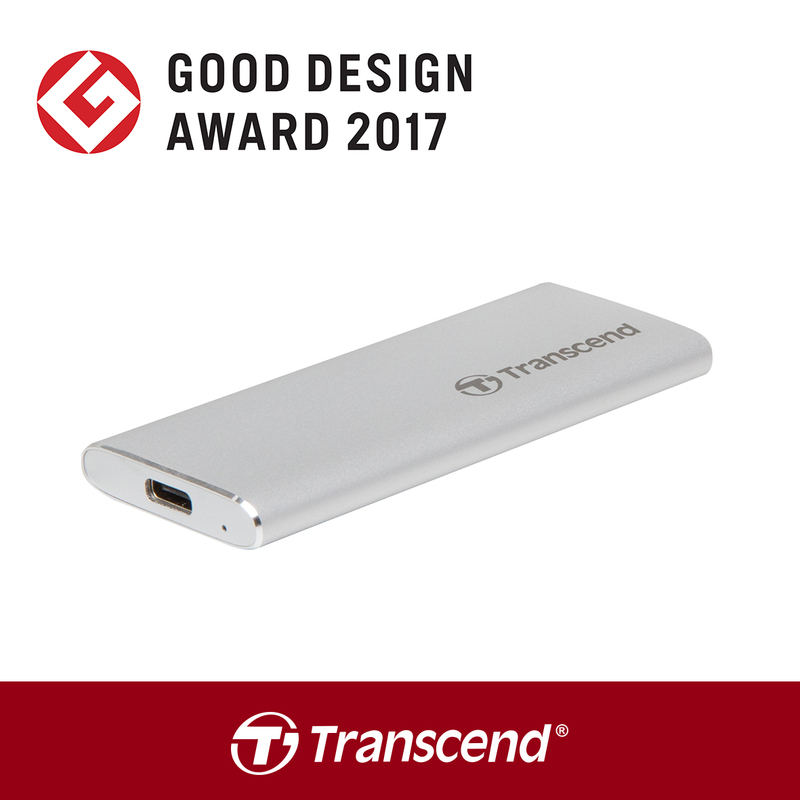 Transcend Information, Inc., a leading manufacturer of storage and multimedia products, today announced that its M.2 SSD Enclosure kit CM42 has won the “Good Design Award 2017” for top-quality, groundbreaking design. The Good Design Award is one of the world's most prestigious design competitions. Over 4,495 entries were submitted from all over the world this year. Transcend’s CM42 M.2 SSD enclosure is designed specifically for M.2 SATA SSDs. Users can transform an M.2 SATA SSD into a portable USB 3.1 Gen 1 external drive to extend the useful life of their drives. Transcend's M.2 SSD enclosure features a lightweight aluminum construction, making it both portable and durable. To accommodate devices with different USB ports, the M.2 SSD enclosure is engineered to convert to a USB Type-C port, allowing it to be used across platforms with either USB Type-A or Type-C ports. The M.2 SSD enclosure also features the USB 3.1 Gen 1 interface with UASP (USB Attached SCSI Protocol), which enables faster transfers. With years of technical experience and expertise, Transcend has received many prestigious design awards, including Germany's iF and Red Dot awards, and Taiwan's Excellence award. Over the past three years, Transcend’s JetDrive Lite expansion cards, DrivePro 520, and DrivePro 50 dashcams were honored with a Good Design Award.